Chronicling the art of the Heisei era, which commenced in 1989 with the ascension of Emperor Akihito, the book features major works by artists including Yayoi Kusama, Lee Ufan, Takashi Murakami, Yasumasa Morimura, Daido Moriyama, Yoshitomo Nara, Hiroshi Sugimoto and Yukinori Yanagi. The era coincides with the peak of the Japanese economic boom and its later contraction, which led to the ‘lost decades’ of the 1990s and 2000s, but also the rise of Japan as a cultural superpower. QAGOMA’s collection of contemporary Japanese art is the most extensive in Australia and is uniquely positioned to shed light on this fascinating period, exploring various aspects of culture and society in Japan through the work of its leading artists. 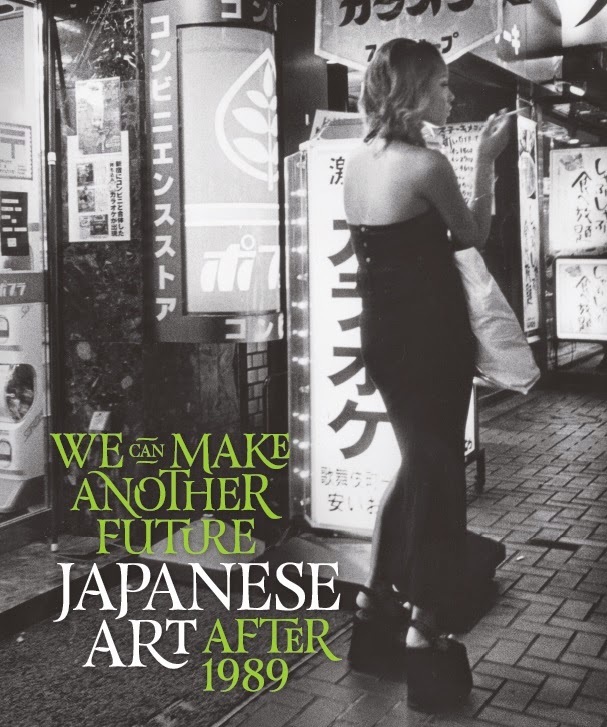 Accompanying the exhibition of the same name, We can make another future includes essays by QAGOMA curator Reuben Keehan and Japanese curator Shihoko Iida, as well as a detailed chronology spanning 25 years of Japanese art in the context of wider culture and society. Looks like an interesting book and exhibition, thanks for posting. Also, there's more info about this sort of stuff on http://ponja-genkon.blogspot.jp and on the listserv that can be accessed through that site. Some more interesting links via that site, so thanks again.